I catch them more often now. I catch them and they stay with me. Sometimes they’re amazing, spectacular, fireworks type of experiences. Other times they’re quiet. This one was simple. It was a pretty simple moment, something that might not be significant to others, something that might not even be Facebook or Instagram-worthy to others, but it mattered to me. And the fact that I knew it mattered made me smile. We hiked up hills and walked through sunlit pathways checking out zebras, orangutangs, hippos, silverback gorillas, meerkats, and elephants. We explored all kinds of animal behavior but it wasn’t until we reached a quiet spot in the rainforest area near the jaguar exhibit when it happened. That’s when I caught it. We decided to sit on the bench, a place we all looked forward to, seems that with all that walking we developed a deep appreciation for the shade. I opened up the Batman lunchbox and passed out the mortadella sandwiches, Goldfishes, and CapriSuns. We talked about the favorite parts of the day and sat still in this man made environment that felt pretty real. 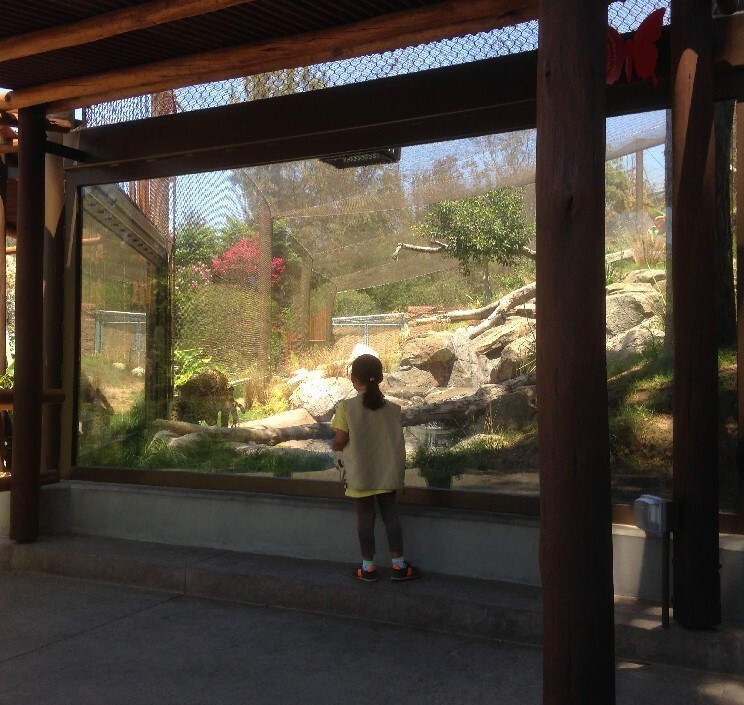 Then in mid conversation my daughter stood up and walked over to the glass for a closer look at a rainforest ambiance and then the Jaguars that everybody had been wanting to see, but couldn’t because they were hiding in their own awesome shade walked on over and stood in front of my daughter. She didn’t take a step back, she took a step forward. She didn’t turn away, she looked closer. Jaguars are pretty amazing animals, they provide you with the stop-and-stare kind of moments. And just then things went in slow motion and I was grateful for it. Happy that my kids were discovering something that mesmerized them, happy that they had front-row seats (something that rarely happens for us), happy that I was part of that and grateful that I had noticed, I had caught the moment. Here’s hoping that you keep catching yours. Good times and noodle salad, no doubt about it. Great post, and yes I am grabbing mine. Thanks, we’re working on them. What a wonderful day and I love that she doesn’t show fear. I miss those days, not having fear. Duuuuuude she’s too funny sometimes with her bravery. Makes me crack up when I think she has no idea what she’s getting herself into and she just goes for it. Ahhhh good reminder.